This summer has seen us making some minor home improvements. We started in July with the carpeting in our family room. This was meant to be a very simple project - just removing the old carpet and padding and putting down new - but it became a bit more complicated, as these things often do. We also did a little uplifting decorative work here and there, which is much more my forte. Grab a hot drink, put your feet up and settle in for a long-winded detailed tour. Maybe also consider making a sandwich. Here is the family room as it looked before. It's difficult to tell from this photo what the old carpeting was really like, but it was pretty dingy. We had it professionally cleaned, to little avail, and we were constantly spot-treating old stains as we found them. This is a Berber-style carpet with a sculpted geometric design. We have the same carpeting in three of the bedrooms, but it's in much better condition there. I wouldn't necessarily choose this particular carpeting, but it came with the house and most of it is too good to rip out for a few more years. The family room carpet needed to go, however. We ordered new carpeting and set a date for installation. The Bear volunteered to remove the old carpet and padding himself, because he wanted to seal the concrete floor. We were having a lot of degraded concrete, in the form of powdery gray dust, make its way through the surface of the carpet, which was messy and annoying. The Bear spent most of a day on the carpet removal and discovered two things: the floor was very un-level (a tunnel had been made for the security-system wiring) and there was a suspicious moldy patch on the baseboard of the wall which adjoins our master bathroom (the left side of the room in this photo). Sigh...a simple job suddenly became a much more complicated one. The first step was to open the wall where the watery/moldy patch was spotted. The small boy is provided for scale in this photo. In actuality, the opened space grew to be twice as wide when all was said and done, after it was discovered that both the hot- and cold-water pipes (they go to our master bath shower) were leaking inside the wall, causing water to run down the pipes and accumulate on the slab sill and the baseboard, hence the mold. It was obvious that the leaks were due to the way the pipes had previously been repaired; the welded joins were done poorly and were probably leaking since they were newly done. Nice, right? The pipes were very corroded and the wood and backer-board were moldy and damp, as were most of the wood parts. We tied towels around the pipes to absorb water, set up a huge fan to blow directly into the open space and then wiped everything down with anti-freeze (this is a really useful way to help dry out wet wood and kill the mold - we've been around the block with this sort of thing before). Then we called a plumber. Meanwhile, the house was a disaster for several days. We had moved all the family room furniture into the living room and our kitchen counters were stacked with tools and building materials. The foyer was lined with the kids' bookcase and toy-storage cubicles. I've been fortunate not to have had many experiences of living in a construction zone; I can only imagine how aggravating it would be to live this way for months, like some people do when they have major renovations going on. A little less than a week was more than enough for me; I felt like I was going to lose my mind a few times, but the thought of new carpeting helped me through. We couldn't do much in the family room until the plumbers came, so we went ahead with the floor leveling. This photo shows the newly-laid leveling compound on the floor. The lowest part of the floor was a full half-inch lower than the highest part so this was a necessary step. As it turned out, though, the carpet installer said we didn't need to seal the floor, as originally planned. He assured us that the new padding would help keep the dust from rising up. It seems to be true so far, and at that point, we had bigger fish to fry anyway, so we skipped the sealer. The plumbers came and fixed the pipes and the carpet was installed. The small Bears loved the soft plushness of the new carpet and treated the empty room like a gymnasium for a couple of days. The hole in the wall still needed to be fixed; luckily, our carpet installer is also a general contractor in business with his brothers, who are professional drywall installers. He was able to schedule them to come over three consecutive days to fix the wall. We had moved the furniture back into the room by now, but had to keep the couch away from the wall. The drywall guys were excellent, I have to say. They fit us in around several larger jobs they were in the midst of doing when their brother enlisted them to help us. They were efficient and very professional. If you're local, I'd love to recommend them for your home renovation needs; shoot me an email if you'd like more information. We repainted the wall where the repair was done (we'd only done this room two years ago, but it was necessary to touch it up), replaced the baseboard we'd had to discard because of the water damage, and moved the couch back. The carpet is so much nicer now. It's also a Berber-style carpet but a richer color (to hopefully hide dirt better) and a less-busy look to the weave. Eventually, we will change the other rooms with the old carpet too, but it's not urgent. And we're a bit tired after this one room, needless to say. Back to normal, and loving it. You can see the edge of the kitchen peninsula counter in the right side of the photo. This counter is perfect for stools and I've ordered a set of two counter stools to place there. They're being custom-built in Mexico by a furniture-import company. I don't have much Southwestern-style furniture in the home but I like to have a few simple touches. The stools are natural wood (pine, I think) and somewhat rustic. I'm excited to have them, especially now as the kids are getting older; I love the open-plan kitchen and family room and I want to maximize the usefulness of this space. We had a large piece of carpeting left over after the installation. We decided that we wanted to have it cut into some smaller pieces and professionally bound. The installer recommended a good carpet-binder and we had two rugs made: one for the foyer near the front doors, and another to use on the floor near the fireplace hearth to protect the new carpeting from embers when we're having a fire in cold weather. The hearth rug is stored behind the couch in the living room. Again, if you're local, I'm happy to recommend the carpet-binder, so let me know if you'd like more info. Moving away from the refreshed-but-aggravating family room, I've been trying to freshen up the bedrooms as well. None of them needed major help - all have good bedding and nice furniture at this point. But the decor was lacking and I wanted to work on that a little bit. This shelf is now hanging over our bed. I'd been seeing adorable shelf displays on a few blogs I enjoy reading and went shopping in search of a good shelf for us. I bought one and later returned it because it jutted out too far from the wall; I was afraid we'd end up hurting ourselves getting out of bed in the mornings. The Bear offered to build one for me, to my specifications, and it's just right, exactly what I wanted. I think the shelf helps the room to be even more cozy. I wanted to display just a few little things that we like. The dia de los meurtos skull is a motif I'm always drawn to; I love the juxtaposition of the skull with the beautiful, intricate flowers, scrolling and crosses. This is a postcard that I bought on Etsy from the artist Jade Boylan, who is based in the UK. Her artwork is very colorful and pretty. I also have a matryoshka card she designed. On the shelf, I also have a faux Jadeite votive candle holder (a Martha Stewart find from years ago) and a small clay bowl made in the Navajo style, which the Bear has had since he was a child. I have since also added an old photo of me and the Bear from before we were married; we're photographed from behind as we walk down a wooded path. The LB's room was really looking sad. His bedroom is at the end of the hallway, next to the laundry room, which leads to the garage. It occurred to me a few months ago that I wasn't making enough of an effort in his bedroom. Part of this is because we don't keep toys in the bedroom; all playing is done in the family room. Also, I just haven't bothered to do much. Mea culpa. But he's getting older and will surely want to spend more time in his room relatively soon, so I thought it might be time to fix it up a little. I've had a Pinterest board devoted to boys' bedrooms for a few months, trying to gather ideas; colorful maps as decor have been a particular interest. Both the picture grouping and the world map are on the longest wall in his room, along the length of the bed. The picture grouping is made up of some things we've had a long time and others we acquired recently. The moon and Earth photos are old. We printed them from some website where you could download and print stock photos; we had the Earth one done in an iridescent finish, which looks pretty cool. The smaller frames hold postcards in designs he helped me choose. The sailboat and bear are from Showler & Showler; I'd seen their artwork on the Yvestown blog months ago and ordered a few designs. The penguin is from an Etsy shop called Hello Narwhal; penguins are one of the LB's favorite creatures. The world map came from AllPosters.com, with a frame from Walmart. The whole wall cost under $25 to decorate, and it looks much better now. The GB got a little bit of new decor in her room too. The tulip and apple are more postcards from Showler & Showler; her room has a distinct nature theme, in bright colors like pink, green, orange and yellow. The rabbit is a framed postcard I've displayed in various homes since I was a teenager. It's a (reproduced) sketch from the 16th century, by the German artist Hans Hoffman. I bought the postcard at the Metropolitan Museum of Art in New York City. 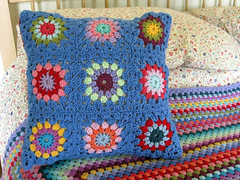 I've made a lot of the decor in her room myself, whether hand-sewn or crocheted, because it seems easier to make things like that for a girl's room. 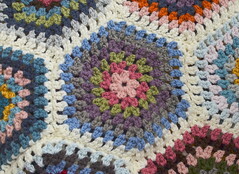 I do have an afghan planned for the LB, as one of my upcoming winter projects. The apple and tulip, like the postcards in the LB's room, are framed in 97-cent metal frames I picked up in Walmart. They were black when I bought them; I left a few black but I painted others with Krylon ColorMaster spray paint in Ivory, about $3. Whew, what a post. I had all these improvements to share but I didn't want to stretch it out over more than one post; too many other interesting things to blog about, right? Thanks for reading if you made it this far. We're all feeling good about our summer of sprucing-up! Wow Jennifer, I am very impressed with all you have done, you must be exhausted after all that. We are about to start our lounge/diner and I am worn out from choosing new curtains, so I hope we don't find any plumbing problems like you did. Great job on everything though. Love the little shelf in your bedroom and the wrought iron over the fireplace in the family room especially. Hope that you enjoy all the changes you have made and that you get to spend some time enjoying them! Dear Jennifer, I missed you! You have done such great work with the house, I hope you feel relieved now!The room looks so comfortable and light!An ideal cozy place to relax with the family! Experience has shown me that a home improvement job is NEVER straight forward! Your family room is lovely - bright and airy. And it will adapt as your little bears grow bigger and spend more time in their own rooms. I love the map on the the little bears room. Sam loves maps. He would love this one. A lovely bit of sprucing. And how nice to see you on your wedding day too. Beautiful! Wow you have certainly been busy. Everything looks lovely so cosy, especially the family room. Oh blimey - these things never are simply...we always find that. Yes, I did stick with you to the end and I do not regret it! It was fun seeing how you just took hold of those "lemons" life handed you and made wonderful lemonade out of them! Your house so fresh, clean and pretty. The subtle backgrounds make that bed afghan and the artwork really pop. And then along come your kids...they're the loveliest of your decorations! A job very well done - both the house and the kids! That's a lot of sprucing up - especially the family room! Don't you love when a supposedly simple project turns into several others?! I've had my house in disarray several times from contracting jobs and it made me crazy...I hate mess and disorder, so I feel for you! Wow what a lot of sprucing! Looking fab! love the new carpet. I also used the off-cuts around the house after we had a new carpet it's very useful. My goodness you have been so busy, Gosh I just hate construction or repair work in my house, it makes such a mess and feels so unsettling. So glad you found the plumbing problem and all is well now. Love the new carpet. I love the new carpet... it was worth the wait. Your family room is so cozy and inviting, and I love your painted, brick fireplace. I also like how your kitchen opens up to the family room. You will love your new stools, they sound gorgeous! Your home is very lovely! Everything is looking great! It seems that remodeling projects take on a life of their own, but are worth it in the end. I loathe the upheaval that comes with having work done on the house, but, as you say, the results are generally worth the disruption. And your family room looks lovely now. As does your shelf and all the other little corners. Your Bear is clearly a handy man to have around! My pet name for my husband is also Bear! I love that 'new carpet' smell and knowing that it is nice and clean for a good while! Your room looks lovely now and I bet it is a relief to get the leaky pipes dealt with and the wall properly plastered and painted again. It makes the rooms fresh and inspiring to have a few new pieces in them too. I hate it when one DIY project, which should be easy, turns in to a lengthy job. I think it was all worth it though, your family room looks smashing. I love the bedrooms too, such lovely artwork. Hi Jennifer, At least now you know is all done the proper way!! !Your family room looks really cosy and homely!! !A great makeover!! !Have a fab weekend!! Love the new carpet, Jennifer! Sounds like you had one of those "one thing leads to another" type projects! One of our favorite expressions around here is "It's never easy, is it?" I'm not very patient about big projects, either. I guess I'm an "instant gratification" kind of person....lol! We did a major kitchen renovation in our last home (totally gutted the old kitchen), & I thought I would go crazy. It took about three months. The thing that saved me was being sick for about three weeks of that & totally hyped up on drugs! 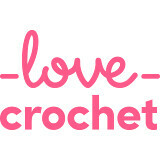 I love love love that crocheted blanket! !